Ginetta has entered a new technical partnership with specialist lubricant and treatments manufacturer Millers Oils, who have produced a new bespoke motorsport lubricant range for Ginetta cars and will become the title sponsor for the Ginetta GT4 SuperCup in 2019. The new ‘Ginetta Tech by Millers Oils’ range has been specifically formulated for Ginetta vehicles and has been developed using their industry-leading NANODRIVE low-friction technology, with the fluids made orange to reflect Ginetta’s iconic brand. The new range of brake fluid, engine, gearbox and differential oil will be mandatory across all five of Ginetta’s domestic single marque championships, as well as being the first fill oil in every car produced by the Leeds-based manufacturer. With specific chemical markers in the oil allowing for Millers Oils to test on sight during race scrutineering, the new formula’s will help improve the tight technical controls that are central to upholding the fairness and equality in Ginetta’s championships. As part of the new partnership, Millers Oils is the new title sponsor for the Ginetta’s flagship series, the GT4 SuperCup, which competes as part of the support package for the British Touring Car Championship and has served as a stepping stone for drivers into global GT and prototype racing. The leading UK independent blender of oils and lubricants will also support the 2019 Ginetta Junior Scholarship winner, with Ethan Brooks set to compete in a Millers Oils-branded Ginetta G40 as he embarks upon his fully-funded first season of car-racing competition. Tony Lowe, managing director, Millers Oils, said: “Motorsport heritage runs deep into our 130-year history and we are delighted to continue that journey working with Ginetta Cars. The partnership aims to benefit those competing in the 2019 Ginetta Championships by improving reliability while also increasing performance. 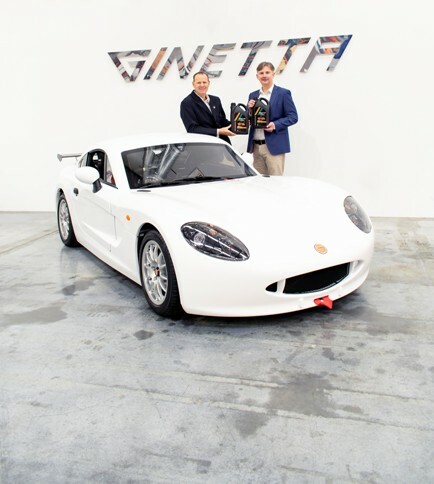 Lawrence Tomlinson, Ginetta Chairman, said “It is great to welcome a company as accomplished in motorsport technologies as Millers Oils to the Ginetta Cars team as our official Technical Partner.